The Innovation and Research group at Al Jazeera Media Network has kicked off its first major community initiative with an online Innovation Challenge. This is an open competition aiming to surface new ideas about storytelling in mobile and web applications. The Innovation Challenge competition offers substantial rewards, including the possibility of future incubation of winning ideas, invitations to large innovation events in the future, and $25,000 in cash prizes. "The topic of exploration for this first Challenge will be 'nonlinear narratives'." "Typically, the stories and content we create and consume are linear, and follow a logical, cause and effect structure. Yet our minds and memories work in a nonlinear way, and this offers an opportunity for new types of storytelling, and new methods of media consumption. "The applications and software put together for the Innovation Challenge should provide new, flexible, and reusable methods of creating or consuming such nonlinear narratives." 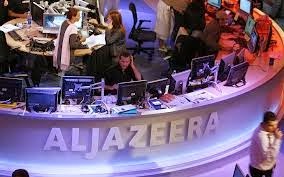 Al Jazeera is looking for participants from its global audience with a variety of expertise, ranging from idea conception, through design/prototyping, and all the way to development. Full eligibility requirements are available at the Challenge website. Early registration is encouraged so participants can start drafting their submissions, or browse existing submissions as they begin appearing. Challenge participants can also team up through the platform with others who are looking for assistance with their ideas — which will be helpful considering the time period for submissions is limited. Participants can go to http://aljazeera.challengepost.com and register. The submission period will be open until September 30, 2014, 14:00 GMT.